Need Help Now? We’re here 24/7. Criminal charges can be very serious. The same can be said about the laws surrounding these issues. It is a complex landscape. But our attorneys are the best in the business in understanding how best to proceed with your case. From practical matters to complex legal analysis, The Frankfurt Law Office ensures your case gets unparalleled attention. The Frankfurt Law Office specializes in DUI cases in Denver. From simple to complex, we know the ins and out of how the laws work – and how best to position you for the most favorable possible outcome. We are experts at understanding all the details involved in DUI cases. We have seen it all – and no one in Denver is better equipped to handle DUI cases. 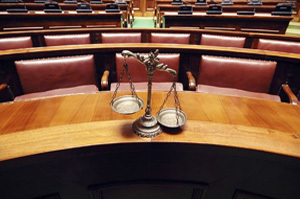 Personal injury cases involve many layers of issues. We have unsurpassed experience and skill in ensuring optimum results. We never rush. We listen, we understand and we develop a custom plan to make sure the outcome is best for you. Let us handle the details and feel confident knowing you have the best team in the business on your side. If you’ve been accused or charged of a DUI then stop right now, and call The Frankfurt Law Office at 303-830-0090! We have Denver DUI Attorneys standing by – don’t wait until it’s too late! Criminal charges can have a massive impact on your life and need to be taken very seriously. Frankfurt Law Office offers Denver’s top criminal defense attorneys. We will work hard to protect your rights and build your case to avoid these negative effects. You need an aggressive strategy for your criminal defense. Without a well planned, researched, and executed defense, the likelihood of a bad outcome increases significantly. Our dedicated team will build that strategy. Frankfurt Law Office has over 30 years of combined criminal defense experience. Our experienced lawyers have defended a wide array of cases and will handle your predicament with talent and efficiency..
DUI laws in Colorado are complex, and even though the charges can happen in a flash, defending your case takes time and effort. Frankfurt Law Office’s DUI attorneys are capable and well-versed in the details of the laws. When facing any controlled substance charge, you can’t afford to waste time before you enlist a skilled drug lawyer. From possession to distribution, we will make your expert defense our priority. If you are facing a sexual assault charge, it is of the utmost importance to consider the long-term ramifications on your life, both personal and professional. Frankfurt Law Office is prepared to take on your case with the attention to detail and confidence you need. Facing a criminal charge? You need Colorado’s leading criminal defense attorney on your side. The Frankfurt Law Office is experienced in handling DUI, drug, personal injury, domestic violence and sexual assault cases – all with a long history of providing the most favorable outcomes for our clients. We are unique in the business – large enough to have the best resources in Colorado … yet small enough to provide the personal care you deserve. Frankfurt Law Office has a well-deserved and hard-earned record of successfully defending our clients. Your rights are our top priority. We will work tirelessly to construct the ideal defense strategy for your particular situation. As aggressive advocates for each client, we confront the prosecution and judges at trial with skill and precision. Frankfurt Law Office will provide a thoroughly researched, tactical approach through every step of your defense.